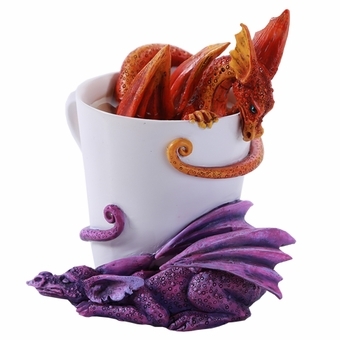 This fun figurine features a pair of dragons and a mug of a nice, warm beverage! After all, what better way is there to wake up than with your favorite hot drink? The little red dragon rests int he cup, tail curled around the outside, and its sleepy purple friend curls around the mug at the bottom. 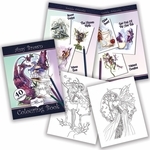 A cute and unique addition to a dragon-lover's collection! Size: 4 1/4" x 3 1/4" x 3 7/8"